US citizens do not need a visa for tourist or Business travel to this country for stays up to 90 days, but a valid US Passport with six months validity is required . Any US citizen who wishes to travel to Israel for any purpose other than tourism or business negotiations (e.g. work, study, adoption, immigration, or stays longer than the stipulated 90 days in the entry requirements) should contact our office. Israel has visa exemption agreements with many countries – for visits of up to 90 days. 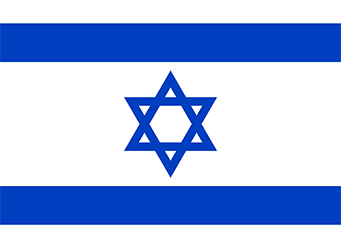 Before going to the mission, check whether you need to obtain a visa to visit Israel. It is important to emphasize that the exemption applies only to visas for visits and to passports (not to laissez passer). Please note that the grant of a visa by the State of Israel to a person bearing a foreign passport (national or official), does not necessarily imply recognition of the authority or entity that issued such passport. A valid, signed passport. Presentation of a travel document that is valid for at least six months beyond the period of the stay in Israel and contain at least one blank visa page. In the event that you wish to travel to any other Arab country, upon entering Israel, ask the Customs officer to not stamp your entry into the passport. They will only do this at your request.